Managing Director, ITSMA; President, ITSMA Japan; President, Services Strategies, Inc.
Kohmoto-san is a widely recognized leader in services marketing in Japan where he serves as managing director of ITSMA and president of ITSMA Japan, founded in 1999. He is responsible for business development and research execution in Japan. He is also the president of Services Strategies, Inc., a company he founded in 1996 to advance the state of the IT services industry in Japan. 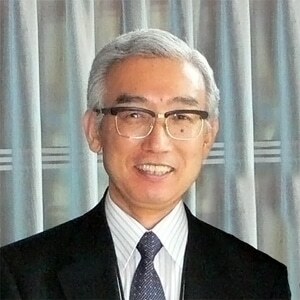 For nearly three decades, Kohmoto-san held responsibility for services market research and strategy at Hitachi Electronics Services Co., Ltd.
Kohmoto-san served as vice president and board member for AFSMI, the Association for Services Management International based in Fort Myers, Florida, between 1996 and 2007, and was president of the organization’s Samurai Chapter, which he co-founded in 1989. In 2007, he received the “Tom Evans Lifetime Achievement Award” from AFSMI in recognition of a lifetime of accomplishment in the services management arena. He has been the executive vice president of International Services Management Association (ISMA) in Japan, an independent organization inherited from the Samurai Chapter in 2005. Kohmoto-san was also a part-time lecturer at the graduate school of Osaka Sangyo University between 2002 and 2013.